David C. Korten is co-founder and board chair of YES! Magazine, founder and president of the Living Economies Forum, an associate fellow of the Institute for Policy Studies, a member of the Club of Rome, and a former founding associate of the International Forum on Globalization. In 2001, he participated in founding the Business Alliance for Local Living Economies and served as a founding board member through 2012. In 2008, he co-founded the New Economy Working Group, which he co-chaired with John Cavanagh. In 2011 he was named an Utne Reader visionary. His books include When Corporations Rule the World (1995); The Post-Corporate World: Life after Capitalism (2000); The Great Turning: From Empire to Earth Community (2006); Agenda for a New Economy: From Phantom Wealth to Real Wealth (2009 & 2010); and Change the Story, Change the Future: A Living Economy for a Living Earth (2015). 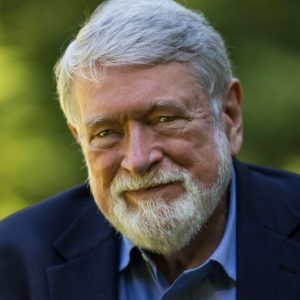 David Korten has MBA and Ph.D. degrees from the Stanford Business School.